Summary: Expats in The Netherlands talk about 10 expat-friendly cities, what life is like there and how to meet people. Amstelveen has a population of approximately 90,000 and is located about 20 minutes south of Amsterdam by car (a bit longer by metro). One expat wrote that life in Amstelveen revolves around, "Family, sports, shopping. There are some really excellent restaurants, but a disappointing night-life. Amsterdam is only 15 minutes on the metro/ subway/ underground." "[Amstelveen] has a great Sports club - Special Sports. They have a featured sport every night where people can just show up and play along with the group. This is very well organised and features basketball, badminton, indoor soccer, table tennis, squash. In the summer, tennis and beach volleyball (I didn't believe it either - but they have two courts next to the tennis - and it's popular). Additionally, because of the large expat community (Amstelveen has the largest Japanese community in the Netherlands), there is a very large International school, many Japanese restaurants and a nice amateur Baseball club. Cricket club, too.. and even a Rugby club. Amstelveen borders Amsterdam on its southern border - so there are all the expat conveniences there too. Largest shopping mall in the region," wrote an expat living in Amstelveen, Netherlands. 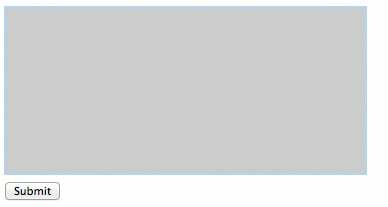 Moving to Netherlands soon? Crown Relocations owns and operates over 207 facilities in almost 54 countries. Their global network means they're unique in the relocations business and they're able to use Crown crews and vehicles wherever possible. Get a quote online by May 25, 2019 and you'll be entered to win 1 of 5 $250* Amazon gift cards. The Hague is situated on the western coast of The Netherlands and has a population of approximately 1 million (metropolitan area). "The Hague is the seat of government for the Netherlands. So in addition to the Queen, Ministries and Dutch Parliament, it is home to foreign embassies and a host of international organizations (many UN) as well as international businesses. I think of it as a capital city with a small town feel. Lots of greenery and park land, with beautiful dune beaches along the North Sea. Plenty to do, with fewer tourists than in Amsterdam," said one expat. To meet people, he advised, "I'd start with ACCESS (access-nl.org) and The Hague Online (thehagueonline.com), and go from there," wrote one expat. Leiden is situated about 35 minutes north of The Hague and 50 minutes south of Amsterdam. 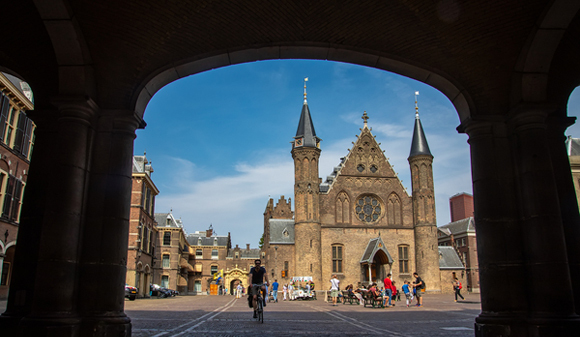 With a population of over 100,000, Leiden has long been considered a key science hub in Europe. "Leiden is a students town, but also in between The Hague (centre of government) and Amsterdam (Capital) and not too far from Rotterdam (largest harbour in the world), therefore, it's quite a diverse city. You will find mostly everything you can think of, from sport clubs/associations, religious goups, classes in all forms of artistic expression (dancing, sculpture, painting, etc), loads of very interesting museums, and of course, a lively nightlife," wrote one expat. "The Netherlands has one of the highest population densities in the world, and Amsterdam is one of the densest areas in the country. An expat moving the Amsterdam should be prepared to live in a house or apartment that may be smaller than they are used to," wrote Nasser al Kamouchi in her article, Relocating to Amsterdam. "Don't wait until the honeymoon phase is over to work on making friends and integrating. Learn the language immediately. Show up at 'meet up' groups and social gatherings immediately. Even if you don't 'want' new friends now, you'll need them, and the worst is when you need them and don't have any, and have to start from scratch during a time when you could have had people to call on," advised an expat in Amsterdam. Located about 30 minutes southeast of Amsterdam, Hilversum has a population of approximately 90,000. 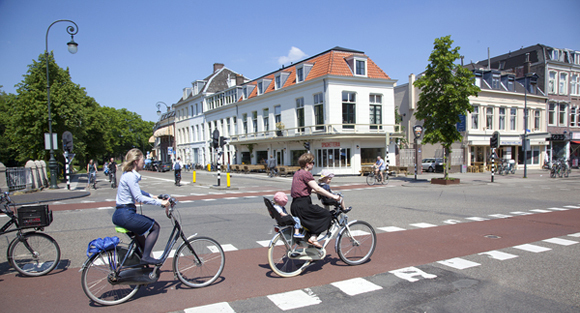 In Hilversum, an expat talked about life there saying, "Very family orientated, most restaurants welcome children, Lots of cafe culture in the summer, Moderate nightlife, mostly bars with dance floors, lots of places to go running and nearly all the roads have designated bike paths." To get to know other expats, she recommended, "Hilversum International mums and tots group, English speaking group of mums and children who Meet every Thursday during term time, from 9.30-11.30 At De Lelie buurtcentrum, Lelie Straat Hilversum." Utrecht has a population of approximately 325,000 people and is located about 45 minutes southeast of Amsterdam. An expat describing life in Utrecht wrote, "Many students stay in Utrecht after they got their degree. The city is as a result to this very multicultural. Socializing and sport is very important. Join the IWCU, International Women's Contact Utrecht (English speaking womens'club). The club offers networking with other expatriate women of all ages (married or single) and has social activities for expats, i.e, Mum's & Tots groups, book groups, coffee get togethers, dinners, family activities, monthly general meetings and a bi-monthly newsletter. This club has been most helpful to me to feel less 'alien' in the Netherlands. The club also hosts a dutch practice group to help you get over the language problems (while English is widely spoken in Holland, you still need to be able to read signs, news, directions, menus, etc..). The club is predominately made up of women from the US and the UK, but also includes women from other countries, including the Netherlands. It is a non-profit organization," advised an expat in Utrecht," advised an expat living in Utrecht, Netherlands. 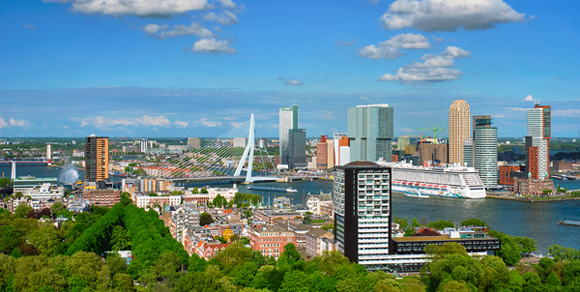 With a population of just over 600,000, Rotterdam is located 30 minutes southeast of The Hague. An expat in Rotterdam talked about life in Rotterdam saying, "In my experience, work is very important, but (unlike in the U.S.) personal life is also important. Most people have a good balance and there is an understanding at work if you have a personal problem that requires attention--such as a sick partner. At the same time, lunch breaks are short and people are expected to be efficient with their time." To meet people, he advised, "Definitely take a Dutch class. Although most Dutch people speak English, a Dutch class is a good way to get to know the culture. Being able to read about upcoming concerts, movies, and cultural events makes you feel more at home. Dutch people are really impressed, and friendly, if you try even a few Dutch words. And finally, a Dutch class is a key way to meet other foreigners in your same situation--new, without friends and family, perhaps a bit nervous." Located a bit further east of Utrecht and also 45 minutes from Amsterdam, Amersfoort has a population of approximately 280,000 (metropolitan area). To meet people in Amserfoort, an expat suggested, "Try sports. Get a dog and walk it. Hit the town on Saturday and Friday nights. Get acquainted with your neighours by chatting with them while working your garden. Invite them (pick a date and time). Bring your children to a Dutch School and chat with any other parent on the school grounds. Find work at a Dutch firm." Meerssen is a suburb of Maastricht and has a population of 19,000. It's located about 1.25 hours west of Cologne, Germany; 30 minutes from Aachen, Germany and close to the Belgium border. Life in Meerssen is described as, "Family and socializing are very important in the Netherlands. People rarely talk about work; they are much more inclined to speak of their many and frequent travels all over the world. Sport is also extremely important (especially football). Where we live in Limburg, team handball is quite the rage." In terms of meeting people in Meerssen, "The International Women's Club has been a big help to me. There are a total of 5 in the Netherlands, but well over than 400 throughout the world. One of the advantages of the club is that it is not limited to just one country of origin. Our small club of 200 members has representatives from over 30 different countries," commented one expat living in Meerssen, Netherlands. Located about 15 miles west of the border of Germany, Nijmegen is just over 1.5 hours from Amsterdam, Essen (Germany), Dusseldorf (Germany) and Rotterdam. It has a metropolitan population of approximately 280,000. An expat in Nijmegen described life there: "This isn't a major tourist destination so the foreign network is much smaller. Here, six degrees of separation is more like three degrees of separation. The foreign population is very diverse, I was once at a party with 20 people and every single one was from a different country! Life revolves around moderate amounts of family life, social life and the outdoors. Nature is at your doorstep, with the Waal river and Ooij polder less than 10 minutes biking from the center of town. 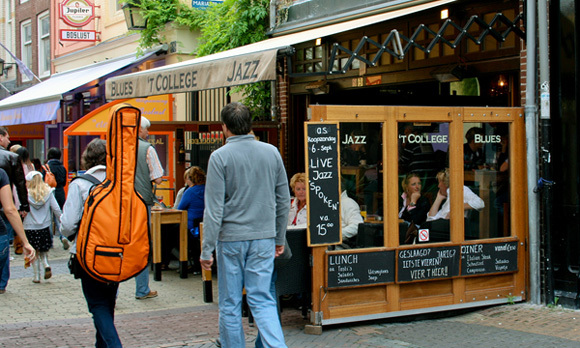 Nijmegen is a fine example of a very pleasant middle-sized city." To meet people in Nijmegen, she wrote, "If you are a student, there are a few organizations that offer services in English at the university. One is Bureau Buitenland. Another is The Bridge. For older working professionals, there is a network of foreigners in the area. I suggest a few pubs in town such as the one at the cinema Lux. Another really gezellig thing to do is take latin dancing lessons, latin people are really open and friendly." 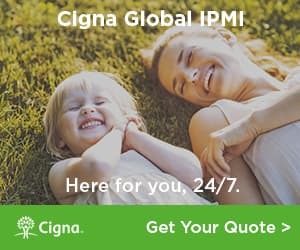 Expats living in Netherlands interested in expat health insurance should take a minute to get a quote from our trusted expat health insurance partner, CIGNA. Visit our Netherlands Forum and talk with other expats who can offer you insight and tips about living in Netherlands. Expats who moved to the Netherlands talk about deciding whether to live in urban or suburban neighborhoods, adjusting to Dutch culture, finding an apartment and more.